Homemade cookies are the best there can be! I love them straight from the oven, warm and delicious. 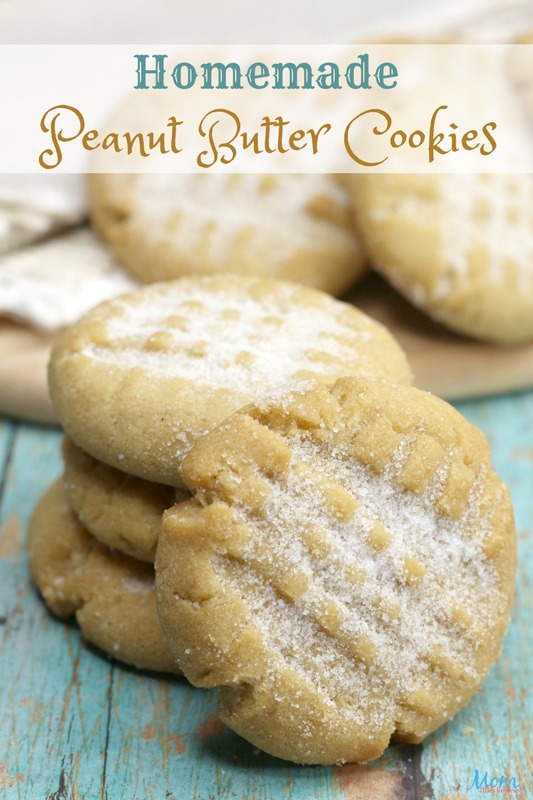 Out of all the homemade cookies, one of my very favorites is a good old fashioned Homemade Peanut Butter Cookie! Give me a glass of milk and a warm cookie and I am in Heaven! 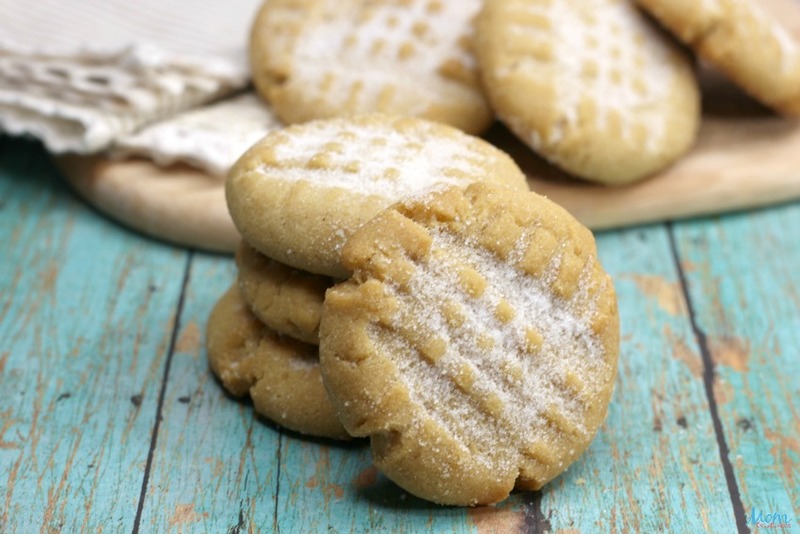 Today, we wanted to share a delicious recipe for these yummy cookies so you can enjoy them too! 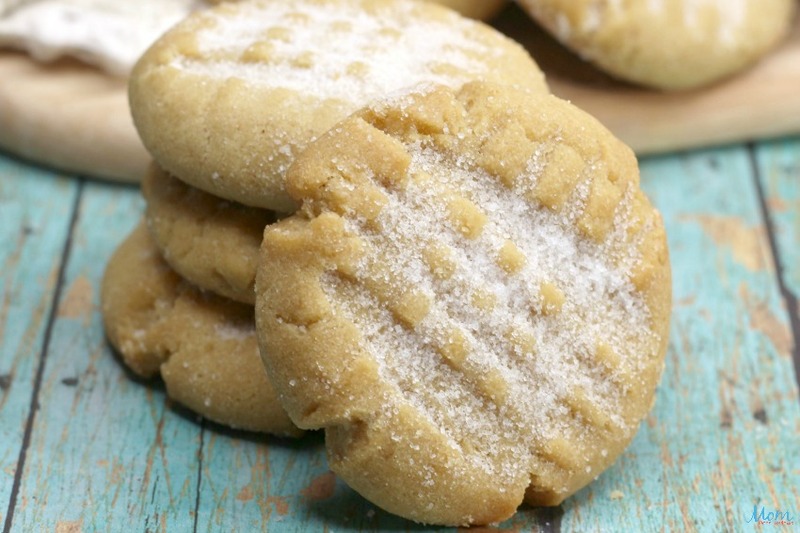 Using a standing mixer, beat together the sugar, brown sugar, peanut butter, shortening, butter, and egg until combined and smooth. Gradually beat in the dry ingredients into the wet until combined and a dough forms. Using a small ice cream scooper, scoop out some dough onto the parchment paper. Using a fork, lightly press the fork flat onto the dough to make an indent of the fork. Turn the fork and make another indent that way on the dough it looks like an X.
Repeat steps with 11 more dough mounds. Bake in the oven for 10-12 minutes or until lightly golden brown. Remove from oven and sprinkle sugar on top.